Dolo 650 is one of the most commonly used pain relievers. It also is classified as a mild analgesic. However, not much is known about this medication – apart from the fact that it can help relieve headaches and fever. This article gives you more information on Dolo 650, helping you make an informed decision. What Are The Uses Of Dolo 650? What Are The Side Effects Of Dolo 650? Dolo 650 contains a non-opioid (which contains no steroids) pain reliever called acetaminophen, which helps reduce fever. 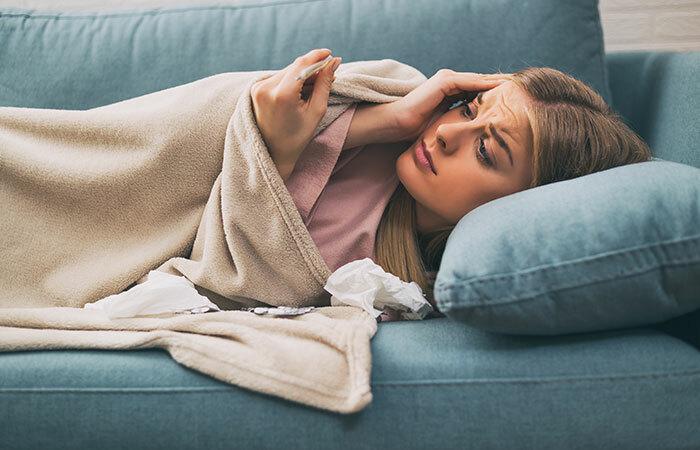 The general dose for relieving fever and pain is a 650 mg tablet once every 4 to 6 hours. Of course, you must follow the doctor’s prescription. The tablet can work for children too. 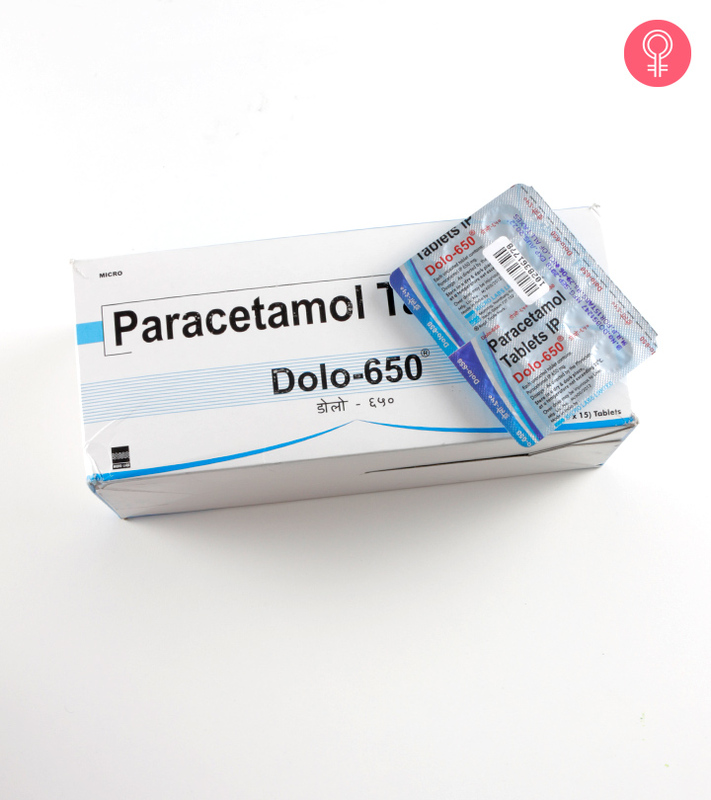 Studies show how paracetamol (like Dolo 650) can offer anti-inflammatory benefits for children too – treating fever and even ailments of the upper respiratory tract (1). The medication can also help treat cold, flu, and cough. Dolo 650 also contains hydrocodone, which is an opioid pain reliever. Hydrocodone works in the brain and changes how your body responds to pain. This way, the tablet can help relieve headaches. The analgesic properties of Dolo 650 can help relieve menstrual pain too. These are the major issues Dolo 650 can treat. But, it is a medication – and it does come with side effects. 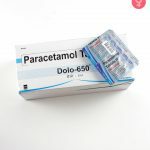 Taking paracetamol with alcohol may damage the liver. Preliminary studies indicate the hepatotoxic nature of taking paracetamol during alcohol consumption (2). Though more research is being done, this is a matter of concern. Even without alcohol, Dolo 650 may aggravate liver issues in people who have liver disease. If you have severe active liver disease, please don’t take Dolo. But if you had liver disease in the past, do consult your doctor – your dosage might need to be changed. Individuals with kidney disease must stay away from Dolo 650. The analgesic properties of the medication may hurt your kidneys. In some individuals, the medication can cause nausea and vomiting, along with diarrhea and dry mouth. Individuals allergic to paracetamol, in general, may experience skin allergies like hives, rashes, and itching. These include medications like Pentazocine, Nalbuphine, Butorphanol, and Naltrexone. Other drugs that Dolo 650 may interact with include Zolpidem and Lorazepam (used for treating anxiety and sleeplessness), Carisoprodol and Cyclobenzaprine (used as muscle relaxants), and antihistamines. Hence, please let your doctor know if you are taking any other medication. They will help you make the right decision. It may lead to serious side effects in children below 6 years of age. One such symptom includes slow or shallow breathing. The most common uses of Dolo 650 are to treat fever and pain. Some sources quote other uses of this medication too, but research is still being done on that aspect. We suggest you talk to your doctor and get more information on Dolo 650 before you use it for yourself or others at your home. How many times can you take Dolo 650 in a day? You can take Dolo 650 up to 3 times a day. How much does Dolo 650 cost? A strip of 15 tablets costs about $25 to $30. What are the substitutes for Dolo 650? Substitutes for Dolo 650 include Crocin 650, Calpol 650, Paracip 650, and Doliprane 650. How do you take Dolo 650? Swallow the tablet as a whole. Don’t chew or break it. The table must be taken with food (unless your doctor has prescribed otherwise). And regarding the dosage and timings, follow what your doctor says. Who should not take Dolo 650? As already covered, individuals with kidney or liver disease, those who take excess alcohol, those who are allergic to Dolo 650, and children below 6 years of age must not take the medicine. How is Dolo 650 different from Crocin? Though both serve similar purposes, one major difference is the concentration of acetaminophen, the active ingredient. While Dolo 650 contains 650 mg of acetaminophen, Crocin contains 500 mg of it. Is Dolo 650 safe during pregnancy or breastfeeding? Dolo 650, in the prescribed amounts, is safe during pregnancy and breastfeeding. But, don’t take the tablet on your own without consulting the doctor first. How many Dolo 650 tablets can cause death? The recommended daily dosage limit of Dolo 650 is 2,000 mg, and the maximum limit is 4,000 mg. This means you cannot take more than 6 tablets of Dolo 650 in a day. The recommended dosage is just 3 tablets, so we suggest you stick to just that. Going beyond the recommended dosage can damage your liver as this drug is metabolized in the liver. “A comparison of nimesulide and…” Drugs, US National Library of Medicine. “Paracetamol, alcohol, and the liver” British Journal of Clinical Pharmacology, US National Library of Medicine.